Maximise your South African public holidays in 2017 with a few small tips. 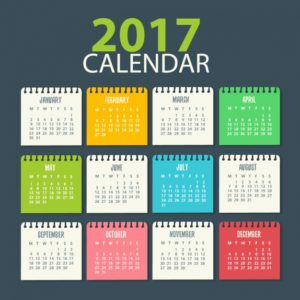 Every year, in almost every country (probably not in North Korea), there are public holidays – South Africa usually has around 12. The main difference annually is that they fall on different days of the week. Those falling on Saturdays mean that employees who only work in the week lose out, as Saturday is a working day for others, but an off-day for them. However, South African public holidays in 2017 that fall on Sundays, will as usual move over to the next day – Mondays, giving weekday employees their free day. Let’s look at the South African public holidays in 2017 and see how we can group them together, with some leave in between, to build up longer strings of free days, giving you and your friends or loved ones a great deal of holiday time together! First off, the list of holidays in the table below. Note those which could possibly be grouped together by taking only a few days leave. It’s easy to see that April is the month to watch, followed by December, which is normal. Some nice options exist in between, but 2017’s public holidays allow for a great deal of flexibility in April. Some of us have more than 15 days leave, which is the prescribed minimum in South Africa. But even if you only have 15 days leave a year, by following all the tips in the table below, you can turn those 15 days leave into 39 days away from work (including weekends). That’s more than double – it’s a 160% gain on your annual leave! If you are one of the lucky people with more than 20 days leave in 2017, you may want to think about this option: Take 12 days leave in April and enjoy 24 days leave! By starting leave on Monday, the 10th of April 2017 and using your last of 12 leave days on Friday, the 28th of April, you can be off work from the 8th of April until the 1st of May 2017!! That’s right, you get 3,5 weeks of leave by only applying for 12 days with your company. This allows you to really kick back and relax, even possibly resign, take your leave instead of working your last month and look for your dream job. Or take a long, 3-week cruise from Cape Town to Europe, or many other options! Date and day of the week Holiday name Maximise your public holidays! Sunday, 01 January 17 New Years Day 2017 This date has passed, hope you had a great break! Monday, 02 January 17 Public Holiday This date has passed, hope you had a great break! Monday, 17 April 17 Family Day Same as above. Thursday, 27 April 17 Freedom Day Take off the Friday to have 5 days in total! Monday, 01 May 17 Workers Day Look at the 12-day leave, 24-days off option! Friday, 16 June 17 Youth Day Simply enjoy a long weekend or take 3 days off for 9 days away! Wednesday, 09 August 17 National Women’s Day Take two days on either side for a 5-day combo. Saturday, 16 December 17 Day of Reconciliation No tweaks to be made here unfortunately. Monday, 01 January 18 New Years Day 2018 Take 4 days off to miss the first week of January 2018! Once you’ve worked out which plan works best for you, you’ll have breaks of one or two (or more!) weeks available to you, meaning your next step is to choose where to fly and to search flights right away!